Breadstorm is a bread calculator. Its co-creator Jacqueline Colussi recently asked me to test it. Here's my verdict. A total thumbs-up! 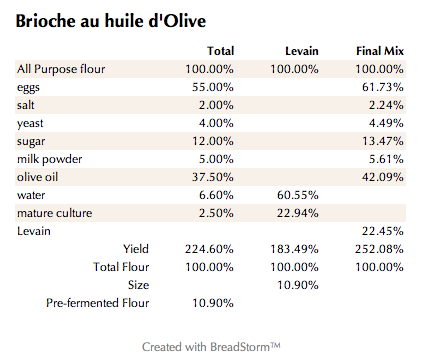 Breadstorm is wonderful tool for anyone who wants help around bakers' percentage calculation, especially with parameters around adding in soakers as well as various other ferments. Breadstorm is especially helpful with large formulas that make it a challenge to reduce yields. I've already started converting formulas used on alternative calculators that don't have those abilities. Thanks Breadstorm!